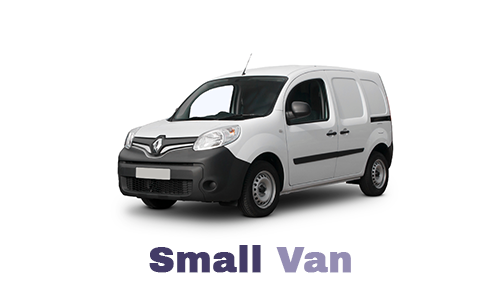 These vans are the smallest commercial vehicles that we offer for hire in Birmingham. The nimble handling, combined with the generous load space, of the small van makes it ideal for couriers, trade professionals or businesses which make small deliveries. As with all our commercial vehicles, all drivers must be aged 25 years or over but there is no requirement for anything other than a standard licence. To rent a small van in Birmingham with us please call 0121 330 0812 or use our online booking facility. Our range of small vans are built by a number of vehicle manufacturers so we aren't always able to guarantee exact dimensions or specifications.